- Cards - birth announcements, save-the-dates, graduations, holidays and more!!! - Just ask...I've got it! CEM Photography goes above and beyond to make sure that you and your family have the most enjoyable photography experience. With on location portrait sessions, you are sure to be relaxed in a familiar and beautiful setting. In home viewing sessions allow you to visualize where your portraits will be displayed and ensure that you've purchased only what will work for you. No more miscellaneous images stuffed in a box in the closet. It's all about convenience and comfort. What is included in the Session Fee? We start with a pre-portrait consultation to discuss how you invision your session, then there is a minimum of a one hour session, travel time, and CEM's talent and skills in capturing the most wonderful images for your family. After the session we will meet again for a Viewing Consultation in the studio to go over all your fully edited images from the session. Should I bring props? CEM Photography can provide a variety of prop options for your session. However, I like to make sessions as personal as possible. You are encouraged to bring items that make your children feel more comfortable or that have special significance to them. What should we wear? We will discuss this during your pre-portrait consultation. There are so many options and I have tons of suggestions. The most important rule is to stay away from Hawaiian shirts! Some clients like to purchase new outfits for the family prior to the session, while it's not necessary, I will never deny a woman a shopping trip! Can our dog be in the portrait too? Most definetaly! I love the four-legged family members. Just let me know ahead of time and I'll come packin' the pockets with treats and bribery. It may be wise to bring a friend to be a wrangler for those portraits that the canine isn't apart of. I love CEM's work, how do I book my wedding with you? Give us a call and we'll set up a consultation. In order to reserve your date with CEM Photography, a signed contract and a retainer is needed. When should I book my wedding with CEM Photography? When is too early? As soon as you set the date! Reception sites and photographers are the first vendors to book for weddings. It is never too early. I have had brides book almost 2 years in advance and I've had brides book 3 months in advance. If your wedding is in a popular month, like May or September...book early! I don't know which Coverage or Collection I want, when do I have to decide on that? 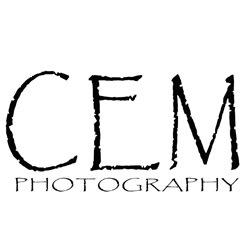 In order to book with CEM Photography, you do not have to chose a specific package at the day of booking. We actually encourage you to take your time to figure out which package best suits you. The final package needs to be decided upon one month prior to the wedding. I'm on a budget, do you take payments? Yes, CEM Photography can work out a payment plan for you. In today's economy, it is daunting to think about spending thousands at one time. We also now offer a Gift Registry, which has allowed couples to save money and have guests donate toward preserving their memories in albums and prints. There are options for every budget. Are cd's included in the packages? Yes CD's are included in some of Collections. Again we offer quite a few options when it comes to the budget. The Gift Registry is also a way of saving yourself some money and still being able to afford a CD if it's not included in a package that you opt for. We can also create that custom package that includes a CD. Do you offer online viewing? Yes. All weddings have a minimum of 2 months of online viewing and ordering. Every couple has a unique password that only they can divulge to friends and family. CEM does not release the passwords to anyone. All pricing is also posted online, so friends and family members can order directly through the website and you don't have to worry about printing out 50 images for Aunt Jenny. We'll take care of that for you!